A few weeks ago for Sunday's #bbloggers chat on twitter the topic was 'Sharing the Blog Love' so after being inspired by that little hour I decided to create a post sharing with you my top 6 blogs. I've moved over to the beauty side of blogging recently so some of my favourite bloggers are different but these are the 6 girls that I go to when I want to read a review or see what they have been buying. The first blog I ever read was the lovely Becca at Fashion Train. I think Becca inspired me to start my own blog as I loved what she was doing over at Fashion Train. I remember when I first found her blog, I spent hours scrolling through all of her posts and falling in love with her style and fashion sense. When I first started my blog I focused on fashion, however I now focus on beauty but I still read Fashion Train and probably always will. 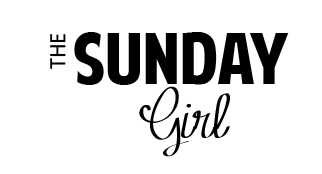 Next is a blog which i'm sure you are all familiar with, The Sunday Girl. Ran by the lovely Adrienne, The Sunday Girl is my go to place before buying the majority of beauty products. She literally is my beauty bible, and reviews a mixture of high end and drug store products which makes her the perfect blogger for everyone! I also love how organised her blog is, it's so simple yet effective. Another blog i've been following forever is Rosy Chic it's the cutest, girliest blog EVER! Literally, Andrea's photography is mind blowing, she makes every single product look amazing which isn't so great for my bank balance. I challenge anyone to go over to her blog and not fall in love. She does a lovely range of reviews, hauls and lifestyle posts which I love, I can't wait to read her thought's whenever a post pops up. Beth who blogs at Bird's Words does the best swatches, hands down. If you want to see what a product looks like then this is the place to be. Again her photography is insane and makes everything look like I need it straight away. She has a good mixture of high end and drug store products and I really trust her opinions. Kayleigh does the most amazing drug store reviews you can find, I literally want everything she reviews. Couture Girl is the perfect place to go for drug store recommendations but she also shares personal posts too which are relatable for so many people. I love the layout of Couture Girl because it's so easy to read. Finally, Tor from That's Peachy has been one of my favourite bloggers for so long. I love her sense of style and the clothes she wears. I'm also really loving her Youtube channel and get excited when I see a new video! She has a brilliant mixture of beauty and fashion and I love reading both types of posts as I really trust what she says :)! Who are you favourite bloggers/blogs? Do you follow these girls? Don't forget to enter my giveaway :)!